When it comes to the most interactive and used social media platforms, Facebook and Instagram place in gold. Who can blame them? Facebook and Instagram are the daily platforms connecting us with photos, news, and friends & family. Most importantly, they feed us with the latest activities in our friends and families’ lives, but it also provides us with the tools needed for these interactions and ideas. Facebook has 1.4 billion monthly active users with 655 million of them on mobile and Instagram has 75 million daily users with 47% of the users accessing the app on mobile. 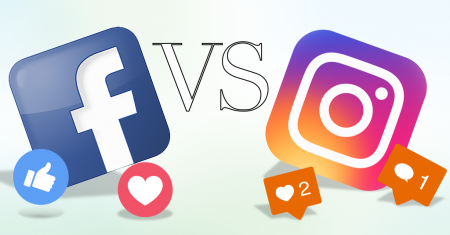 They’re both popular platforms that your company or business depends on.. but you find yourself wondering why your Instagram reaches a better audience than your Facebook page, or how you’ve reached an audience that was not interested in your product or service with Instagram ads. We explore Facebook and Instagram and dissect the best features and how they work for social media advertisement. Both platforms give your business or product an opportunity to connect with the viewer in different ways. Since Facebook owns Instagram, they both have very similar capabilities when it comes to advertising. 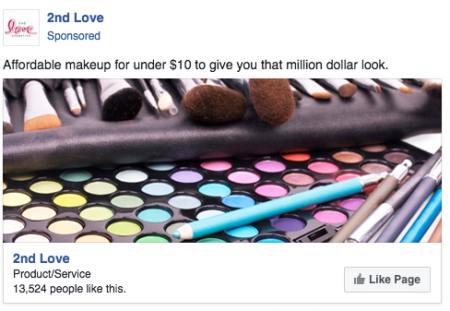 When advertising for your company, you’re in luck because both platforms give you the chance to take advantage of using their ads…here are the three features you can use Facebook and Instagram in advertising: targeting, carousel ads, and algorithms. Users are targeted with ads on both Facebook and Instagram based on the user’s specific interests, age, demographic, location, and relevancy. We see brands and products similar to website that we might have clicked on in the past.. a sly way of sneaking in a new online clothing brand, a new technology product, or items from your favorite sports team. Carousel ads show up every now and then on Facebook with a clean design format and easy scroll through. Its easy accessibility is hard to resist. Instagram also has the carousel feature. Both Facebook and Instagram’s feeds are based on an algorithm that delivers posts that are most relevant to you at the top of the feed. Instagram bases the order of posts off of the content you interact with the most. 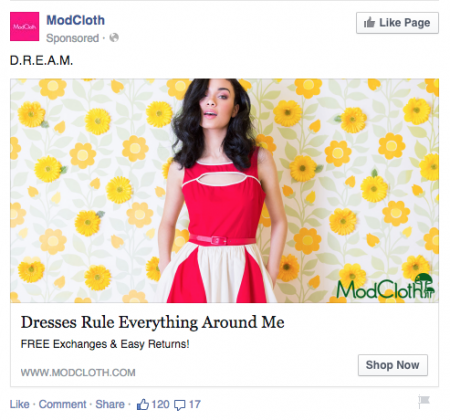 The similarities in Facebook and Instagram’s advertising works well for users because it draws interest. We like to stay up to date with the latest events and activities with other people creating mutual interest and community. Because of this behavior, both Instagram and Facebook strive to show us content we are most likely to engage with. Facebook’s content is generally informational, providing us with trending news & articles as well as updates from friends & family. Instagram is all about original photos and videos. We aren’t able to find weekend events nearby or the store hours of a company on Instagram as easily, but we do find the latest video stories and perfectly lit photography. While both Facebook and Instagram get many daily user interactions, Instagram gets 58 times more engagement per follower than Facebook with a rate of 4.21%. The engagement on Instagram is determined by account followers, the more followers a user has, the more engagement you are more likely to get. 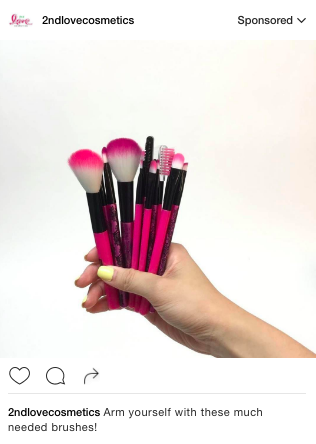 And since there is no way to filter content posts on Instagram like Facebook, that means we as users see more of these Instagram posts. There is a higher organic reach on Instagram, where Facebook fans won’t necessarily see your content unless you pay to promote it, a familiar dilemma for business pages. As Facebook and Instagram are both user-friendly with simple layouts and easy buttons, they each have an individual look. Instagram is minimal and features mostly original photos and videos, it’s about lifestyle images for companies and brands. Facebook features a wide set of interactions such as the ability to share posts/photos, react to content with more than just “like”, live video streaming, send money to friends/family, pages, personal groups/events, GIFS and stickers. We see a lot more flexibility for personalization and customization with Facebook. As an example of social media advertising and results, Ready Artwork works to gain more likes on Facebook and more brand awareness on Instagram for ourselves and for our clients. It is important to understand your viewer’s perspective and how you attract your different audiences between the two platforms. We created each of our campaign’s caption to be tailored differently according to the social media platform since audiences react differently on each of the platforms. For example, a good caption for Facebook may be more detailed like a narrative while Instagram is minimal along with some necessary hashtags. For example, when you put it to a test, the platforms are comparatively different. We ran a campaign ad for one of our clients through Facebook and we found that the Facebook campaign was able to help our client gain over 10,000 Facebook fans over the course of a year & over 200 likes consistently on ads we ran with Instagram placement. Facebook leads with this specific campaign. By creating the necessary tools and ads for your company’s social media, you can test out what works personally to optimize your ads. So which platform should you decide to use to market your company? There are a range of factors to be considered first; such as engagement, reach, room for growth, and valuable users. We see that Facebook has more users, while Instagram is more common among younger users and may be a better target for companies who want a younger demographic. Facebook is better for direct response advertising and Instagram is better for brand marketing; focusing on the quality and aesthetics drawing brand awareness. We have explored the similarities and differences between the platforms as well and depending on what kind of business and product you are planning on advertising, be sure to do your research and perform different trial runs to experiment what’s best for your company. Ready Artwork is here to help you look into the most important goals for your company and help you perform its best with our marketing expertise! Contact us today!